In Apr. 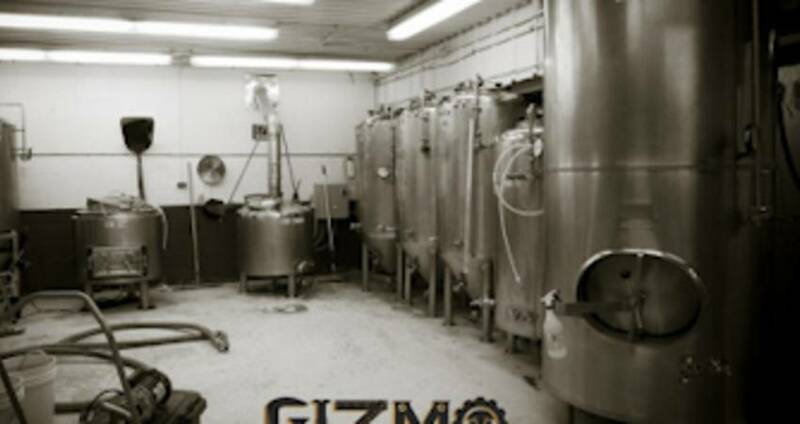 of 2013, a group of beer lovers launched Gizmo Brew Works. Gizmo Brew Works inherited a two-barrel brew system, making it the smallest production brewery in North Carolina. However, Gizmo Brew Works has some big plans to expand, including several infrastructure projects that are in the works. In 2014, capacity will be boosted by adding several seven barrel fermenters allowing Gizmo Brew Works to more than double their capacity. Gizmo Brew Works currently sells their delicious, boutique beers in 64-oz. growlers and on draft. You can find Gizmo Brew Works beer in retail establishments, restaurants and bars throughout Greater Raleigh. Tyler Cox, head brewer of Gizmo Brew Works is constantly thinking of unique recipes to create some of the most innovative beer in Greater Raleigh. For instance, Gizmo Brew Works recently partnered with Benelux Cafe to create a Black Stiletto Coffee Stout. Most of the owners at Gizmo Brew Works are also engineers. Swing by the taproom to check out the infamous laser. The tinkerers of Gizmo Brew Works created a laser, which will etch their logo and your name in the bottom of your Gizmo Brew Works glass. Pay a visit to Gizmo Brew Works&apos;s taproom to enjoy live music, tours and food trucks on the weekends. Check the Gizmo Brew Works website for more information about upcoming events. You&apos;ll feel right at home at this relaxed N.C. brewery.